Personal safety is a huge issue for real estate investors. It’s a big concern for all of us but especially for women who are generally more at risk. When you show an investment property to a stranger, you are opening up the door to “crimes of opportunity”. Crimes of opportunity are called that because you are creating the perfect “opportunity” for that person to commit a crime. This also applies to real estate professionals. Those folks are put in the same situation during the course of their regular business activities. Realtor organizations tend to have regular trainings, but that isn’t the case for real estate investors. We need to set up our own protocols for safety. The US Department of Labor shows a violent trend. Several years ago there were 85 real estate occupational deaths in just one year. Of those, 35 were due to some type of violent act such as an assault. 25 of those were classified as homicides according to BLS data. For any real estate investor that hasn’t yet devised a plan for staying safe, I would encourage you to do this today. 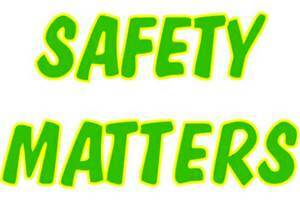 Safety begins with awareness of your surroundings. Before you ever get out of the car check out the people in the area and the area itself. If something doesn’t feel right, head for the door. Always listen to that “inner voice” or your “gut feeling”. If you have to go into a neighborhood that makes you a little uneasy, take someone with you. There is safety in numbers. If you aren’t taking anyone with you, always let someone know where you will be going. I always check in with one of my daughters before I look at property. They have the address where I will be, and I call when I am leaving. That might seem silly to some people since it’s unlikely you will have a problem. But when you do have a problem it’s likely to be a really serious problem so why take chances? Realtors often meet folks at their office where other associates are around. The vast majority of real estate investors work from home. If I am showing a house to someone I don’t know I will unlock the door before they arrive. Once the potential buyer arrives I tell them to go in and take a look, and I wait outside. Bear in mind that I am talking about vacant houses. You wouldn’t want to let a stranger go into someone’s occupied house. The main thing you want to avoid is getting trapped in a house with someone that could attack you. The best way for that not too happen is not to put yourself in that situation to begin with. Always have a safety plan in mind for your real estate investing business. Guys have everything in a wallet tucked in their pocket. That leaves both hands free which is huge for safety. Women should strive for the same situation. I have a small bag that has a cross-body strap. I will take only the things I need like my driver’s license, insurance card, flashlight and a small amount of cash. I always keep my car keys and my cell phone in my pocket. If by some chance you were to have your bag taken, you will still have your keys and your cell phone. Which brings up the next thing I would like to mention, and that is about how to dress. I will always wear pants or jeans with pockets. I will also usually wear a jacket or sweater that has pockets. Leave the fancy shoes at home too. Last week the State of Kentucky once again updated their gun safety laws. Here is a fact for you: The number of permits issued for guns has quadrupled in Kentucky over the past 10 years. One thing to note is that there are a number of groups of people that do not need concealed-carry permits. “Gun owners have been granted authority to carry concealed weapons without a license on property they lease or own, or on property leased or owned by a relative. They may also carry in their own business without a license”. Personal Safety is a huge issue for real estate investors. Don’t be a victim of crimes of opportunity. This article was published in the Courier Journal newspaper. You can read the entire article by clicking here. ← How to Hire and Train an Assistant to Run Your House Flipping Business For You! Far too often, the criminals just get a few month in jail, and are let out to do their crime again. I am all in favor of decriminalization of marijuana, and using the new jail cells for violent people. There is no reason for a person convicted of a second robbery to see the light of day again.